The GAA Scores podcast is back with a bang as we review the All-Ireland SFC Quarter Finals from the weekend which saw Donegal and Dublin claim two very different kinds of victories over Armagh and Monaghan respectfully. 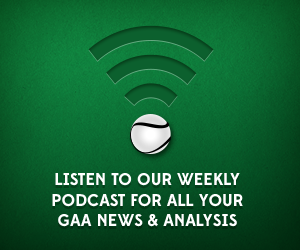 This podcast also sees the debut of Fermanagh Senior Footballer, Ryan McCluskey, who has joined us to bring valuable insight into the Football Championship. Find the lads on Twitter here @conorjdonnelly, @Clucker60 and @CorcoranPearse.